We've seen a lot of futuristic self-driving cars and trucks on the big screen, but none of them really resemble the autonomous (self-driving) killer tractor trailers from the movie Logan. The scenes with the autonomous trucks are short but gripping. They feature a number of menacing, cabless trucks racing down the highways without any care for the human race caught in their path. It’s a scary vision of the future and needs to earn the public's trust. Who is liable…The programmers? The truck manufacturer? The trucking company? How will insurance companies adapt to the traffic accident model? If truck technology collects all of this information about the driving conditions, how others are driving around them, etc., how then, do you convert all of the data into a self-driving truck to mitigate accidents? It’s going to be an evolution like we’ve never seen, but technology is unlikely to replace truck drivers entirely anytime soon. Autonomous vehicles will be implemented gradually and will assist in increasing a truck driver’s productivity. Once the technology exists, the next step would be to develop trucks that can drive themselves for periods of time. The key, however, is that the technology with which these trucks are equipped must allow the truck to operate more safely than it would operate if a person were actually driving it. In 2017, prototypes of a shuttle, bus, and car were already in an accident on their first day. It is expected that almost 100,000 new truck drivers will be required every year for the next 10 years based on industry growth projections; trucking and logistics companies have already been coping with a driver shortage for years—General Mills was recently forced to cut its profit outlook for the year and it's blaming the trucking industry. Which leads us to wonder: what will be the impact of driverless trucks in general? It’s speculated that this technology might present opportunities for logistics planners and service providers (3PLs), for Supply Chain efficiency and strategic advantages. For instance, many manufacturers locate their distribution centers based on network models that use assumptions; that the distance traveled by truck is approximately 500 miles per day. Based on the customers' market, this drives the size, number, and locations of distribution centers. If the new reality is closer to 1,000 miles per day, the number of distribution centers required and the location and size of those distribution centers will significantly shift. A typical model of five distribution centers strategically located across the United States as an example could shift to two larger distribution centers located in entirely different markets in the future. Automation has already found a home in warehousing operations through technologies like autonomous loading, automated pallet movers, and assisted order picking. With the rise of e-commerce, the value of logistics has grown tenfold. We all know that the driver workforce is aging, with the median age of truck drivers being 49 years old, compared to 42 years old for all other U.S. workers, according to the American Trucking Association (ATA). 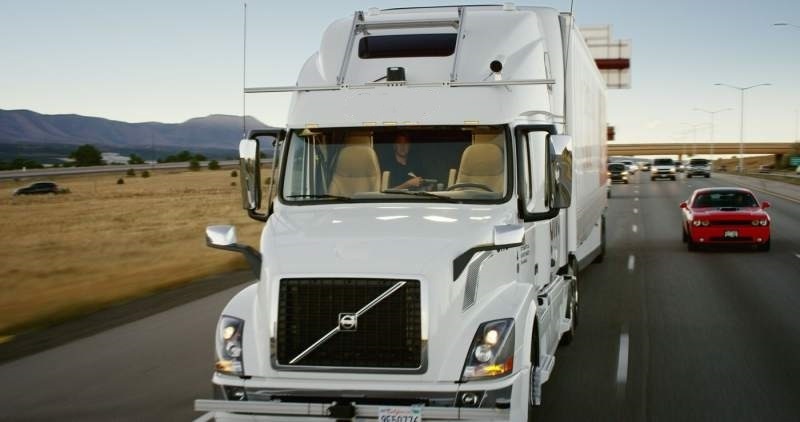 With driverless trucks that can operate around the clock, the same amount of freight could be hauled with roughly 40% fewer trucks on the road. In the future, the truck driver will be remembered as a logistics expert. Improve Safety by minimizing driver error and earning public trust. Lower Environmental Impact through having fewer trucks on the road and more efficient fuel consumption. Higher Efficiency by allowing freight trucks to travel 24/7 without requiring driver rest time. Transportation costs are a significant portion of the cost of goods sold—we could experience lower prices for products in the marketplace, as well as shifts in sourcing strategies. How soon we will share the road with driverless trucks will likely be driven by government regulators and legislators. Have questions related to supply chain efficiency and strategic advantages, simply click the General Inquiry button so we can help you.